Enhance your career with TapRooT® in Toronto! The 5-Day TapRooT® Advanced Root Cause Analysis Team Leader Training course is designed for every level of learning, from new learners to expert. In less than a week, you’ll absorb the TapRooT® Essentials to find and fix the root causes of incidents, accidents, quality problems, near-misses, operational errors, hospital sentinel events, and many other types of problems. The Techniques include: SnapCharT®, Root Cause Tree® & Corrective Action Helper® plus additional advanced topics such as CHAP, Human Engineering, Interviewing, Safeguard Analysis and Proactive Improvement.Upon course completion, attendees will receive a certificate and a 90-day subscription to TapRooT® VI, the online software service. Best of all, you will have the advantage of professional training in your skill set and on your resume! For the 5-Day training course, we’ll be at the Hilton Toronto Airport Hotel & Suites at 5875 Airport Road. Enjoy the ample amenities of the hotel. When you’re rested up, we suggest you take a break to enjoy your host city. 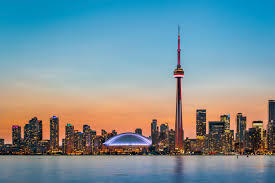 Take advantage of the view atop an observation deck at CN Tower; the 1,815-foot tower is considered one of the Seven Wonders of the Modern World by the American Society of Civil Engineers. Shop, enjoy the atmosphere, and taste authentic brews in the historic Distillery District, a cobblestoned pedestrian-only neighborhood. You’ll be amid Victorian buildings, art galleries, performance spaces, cafes, restaurants, and a brewery. From the District, walk over to historic St. Lawrence Market for scrumptious Canadian fare. If the weather is good, hop a ferry to nearby Toronto Islands, or enjoy our beaches. When the season is right, go to Air Canada Centre to yell on the Toronto Maple Leafs. And any weather is right for getting your hockey fix on at the Hockey Hall of Fame, just a block or so east of Union Station. Use our Toronto Pinterest board to help you plan your Toronto experience.